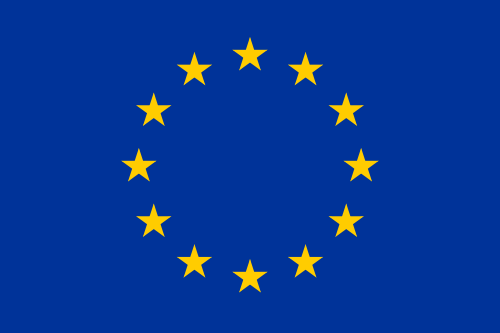 The European Union offers full-time scholarships for both Masters-level programmes and Doctorate-level programmes to students from developing countries around the world. These scholarships, the Erasmus Mundus Joint Scholarships, are exclusively awarded to students that have been selected to attend one of the Erasmus Mundus Joint Programmes at Masters or Doctorate level. Please note: While the Erasmus Mundus Programme ended in 2013, Action 1 master and doctoral consortia and Action 2 partnerships will continue to offer scholarships for the next academic year and beyond. From 2014 onwards, new master consortia that will provide scholarship opportunities are selected within the new Erasmus+ programme (2014-2020) for international higher education cooperation and mobility. Applicants must be students from developing and/or emerging countries who do not come from the Member States of the EU and who are not residents nor have carried out their main activity (studies, training or work) for more than a total of 12 months over the last five years in any one of the EU countries. Action 2 Partnerships: Students (undergraduates to post-docs) and staff (administrative and academic). Please note that each EU-funded Action 1 master and doctoral consortia and Action 2 partnership defines its own selection criteria and admission procedures. Students or scholars should visit the website of the Consortium offering the Masters /Doctoral Programmes via link below for more information. In the past, field(s) covered were: Agriculture and Veterinary, Engineering, Manufacture and Construction, Health and Welfare, Humanities and Arts, Science, Mathematics and Computing, and Social Sciences, Business and Law. For a complete list, please see the available Masters courses and Joint Doctorate courses supported by the scholarships. The programme offers full-time scholarships and/or fellowships that cover the living costs, tuition fees, travelling and insurance costs of the students. Scholarship amounts can vary according to the level of studies/teaching/research, their duration (3 months to 3 years) and the grantee’s nationality (scholarships for non-EU individuals are higher than for EU individuals). To apply for an EU-funded scholarship you should address your application direct to an Erasmus Mundus course or partnership that interests you. Please select your country from the drop-down menu and follow the steps as found on the official website (link to it is below). The web sites of each of the Erasmus Mundus Joint Masters and Doctorate Programmes contain all necessary information concerning the content of the course, its structure, the scholarship amounts as well as the application and selection procedures. It is important to visit the official website (link to it is below) for complete information on how to apply to both the Action 1 master and doctoral consortia and Action 2 partnership scholarships. For Action 1 Joint Programmes, apply during the last quarter of the year or in January of following year: see the consortium website nearer that time for exact dates. For Action 2, application periods depend on the partnerships and the type of mobility. Deadline varies from program to program. The deadline varies per programme but is around October to January every year. Specific deadlines MUST be obtained from the consortium and/or partner websites. Eligible students MUST be from developing/emerging countries, except the 27 Member States of the EU. Students must NOT have been residents nor have carried out their main activity (studies, training or work) for more than a total of 12 months over the last five years in ANY ONE of the 27 Member Country States of the EU. Since each individual joint programme consortium is responsible for its own application and selection procedures (and timetable), interested candidates should consult the relevant website in order to take notice of these procedures. If necessary, they should contact the consortium for further information. For more information on the Action 1 and 2 of the EU-funded Joint Programs and Partnerships, see the Frequently Asked Questions (FAQs).